There are many benefits to working for an elite Monster Energy NASCAR Cup Series team, but one of my favorite aspects of the job is getting to travel each week while experiencing different places and new people. People often ask me, what my favorite track is or where I like to go most, and although I honestly love each and every place for different reasons, here are the top-five NASCAR events I look forward to every year. Let’s face it, Darlington’s throwback weekend concept is one of the best things to happen recently in NASCAR. 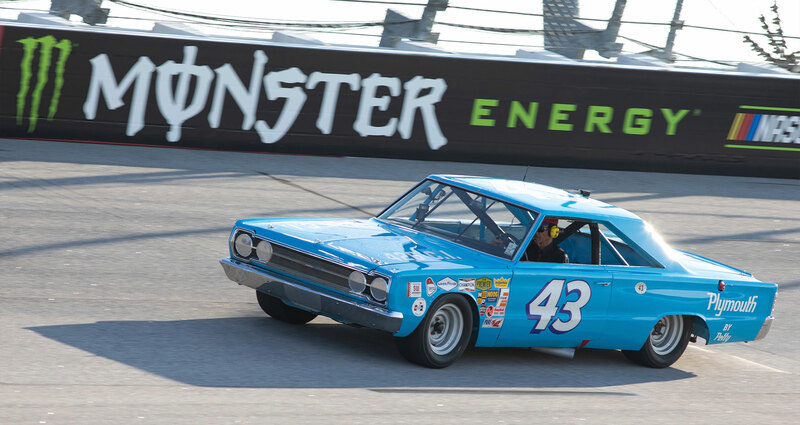 A race at one of the series oldest and most demanding race tracks while celebrating the sport’s legendary past with a carnival type atmosphere on Labor Day weekend where it hosted NASCAR races from 1950 – 2003, before returning to its traditional weekend in 2015 after a 11-year hiatus, has been outstanding. There isn’t much outside of the track, but you won’t need to leave the track during race weekend. This is a weekend to celebrate. A weekend to remember why you’re a NASCAR fan. A weekend to show your pride for your favorite NASCAR drivers of the past and present. This is a weekend just to sit back, enjoy some Busch Beer and Smithfield hot dogs and share your favorite racing stories and memories with friends while watching drivers and teams battle at one of the toughest tracks in the world. A weekend that reminds you why this is the greatest sport in America. There’s no better way to explain going to a race in Sonoma County, California other than “Dreamlike.” An area already known for creating some of the world’s best food and wine, a scrappy stock car race at Sonoma Raceway makes this trip no. 4 on my list of NASCAR destinations. With three road courses currently on the schedule, Sonoma Raceway is something like a short track with right turns. It’s technical and abusive. Requiring many shifts per lap and incredible amounts of footwork, this road course puts both driver and machine to the test. The landscape gives ample amounts of opportunity for great locations to watch from so you’ll be struggling to sit in one place. Outside of the track, you won’t have any trouble finding a place to enjoy yourself. The first stop after a long day at the track for many drivers and crews is Ernie’s Tin Bar. An old Barn/Car Garage/Gas Station, this tavern is a gem hidden in the hills. With cheap drinks and endless conversation, you’ll have a hard time getting yourself to leave. For dinner, its hard to pick from so many amazing options but I once asked Danica Patrick on her favorite places to eat in Sonoma, and ‘Bottega of Napa Valley’ was one of her top recommendations. Bottega, which is an Italian word for “an artist’s workshop,” is one of Sonoma’s top Italian restaurants, and is inspired by Chef Chiarello, Emmy-Winning host of Food Network’s Easy Entertaining. Their food is of course, outstanding and their service is out of this world. They provide a lively indoor or outdoor comfortable seating venue that makes anyone feel at home. Their staff is friendly and guides you through what may be one of the best meals of your life. Sonoma offers so much. Wine, Food. Some of the best golf you’ll ever play, but there’s so much outside of the county as well. Most will fly into San Francisco and that brings the possibility of catching a Giants game or exploring some of the great city it is but my favorite stop on the way to Sonoma is stopping at Battery Spencer, the best viewpoint of the Golden Gate Bridge. Seeing this iconic bridge from its most famous viewpoints is something I’ll never forget. Doing it at sunset makes it one of the best views I’ve ever seen. Just north of Sonoma is one of my favorite trails I’ve ever hiked, the Dipsea Trail. 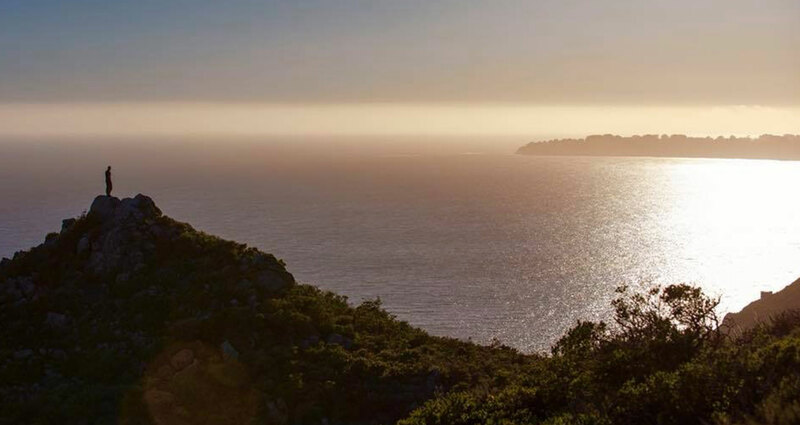 The Dipsea Trail is a 10-mile trail through Muir Woods and the famous redwoods to the stunningly beautiful sands of Californias Stinson Beach. A small town full of friendly locals and incredible dining on a gorgeous beach overlooking the Pacific Ocean rewarding you before you head back through the woods to where you started. This trail is an experience I’ll never forget and is one reason why my hobby of hiking has turned into an obsession. The trip to Sonoma for a NASCAR event is a motorsports trip you can only dream of, unless of course you go. Nestled in the hills of the Finger Lakes in central New York State, sits one of the world’s most famous race tracks, Watkins Glen International. Long known as the home of the Formula One United States Grand Prix, the little town of Watkins Glen has been hosting races since 1948. A trip to the Glen is a trip into motorsports history, and one everyone should experience. Your first stop, or drive really, when arriving to Watkins Glen should be the original 6.6 mile circuit, which sanctioned races till 1952, that runs through the unchanged village streets. Being able to drive around this famous piece of road is a goose bump worthy experience. A walk down North Franklin Street which provides an enormous amount of shopping and dining options as well as a beautiful view of the southern tip of Seneca Lake. The race weekend atmosphere is outstanding and the friendly town folk are eager to make your Watkins Glen trip something to remember. 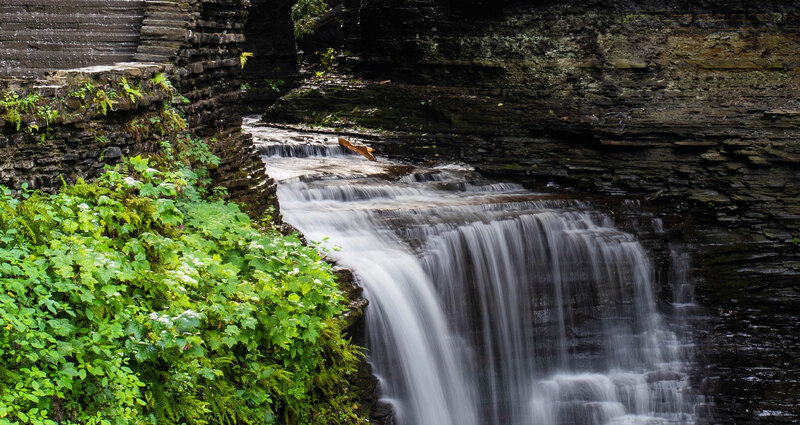 Just outside of downtown sits Watkins Glen State Park and what a treat it is. The 2.5 mile Gorge Trail takes you right through the center of the park and offers a fantasy like landscape which includes 19 waterfalls and other breathtaking views. A trip to the Glen isn’t complete without a stop at the famous Seneca Lake Lodge where drivers and crew of all kinds have gone for a post-race drink for over 50 years. The bar is covered with flags, stickers, and racing memorabilia that will keep you entertained for hours while enjoying conversation with fellow racing enthusiasts. When you finally head up the hill to the track, you’ll find a party, that rivals that of the famous Talladega Boulevard. The fans at Watkins Glen are some of the most passionate in NASCAR and they know how to have a good time. The Monster Energy Cup Series event has been one of the most attended of recent years due to its action-packed races. It’s a track that offers everything. High speeds, left and right turns and a considerable amount of elevation change. I get asked the question “What’s the best seat at Watkins Glen?” and the answer is any and everywhere. There isn’t a bad seat around this 2.45 mile track! I will say, sitting in Turn 1, watching the cars come over the hill on the front stretch down into the 90 degree right handler and accelerate up through “The Esses”, is one of the best views in all of NASCAR. Although Watkins’s Glens rich history may not completely be all NASCAR, it’s a motorsports experience that may be one of your best ever and that’s why its #3 on my list. This is where it all started. These are the sports most hallowed grounds. From its first checkered flag in 1959 to the tracks closest finish between Denny Hamlin and Martin Truex Jr in 2016, some of NASCARs biggest moments have been and continue to be at Daytona International Speedway. Super speedway racing is something special, a must see, and you can only find it in two places in the world, Daytona and Talladega. The track underwent a $400 million face lift a few years ago and now offers fans with the most comfortable experience on the circuit. The wider seats, double the amount of restrooms, three times as many concessions, social areas and WiFi make you feel comfortable as you watch the race at the track! Just across the street, Daytona International Speedway and ISM have created an incredible area surrounding the track with One Daytona which includes premier retail, dining, entertainment and provides fans with quick and easy access to great fun and festivities post-race track activity. The sands of Daytona’s beaches don’t just provide an ample supply of Florida sun and seafood, it holds much of NASCAR’s storied history. You can walk the original Daytona Beach Race Track which held its first race in 1938 and was instrumental in the formation of NASCAR. Sitting at 140 S Atlantic Ave sits the famous Streamline Hotel where in 1948 Bill France Sr and a gathering of drivers and promoters officially formed NASCAR. Its more than just a hotel. With beautiful rooms, dining, a rooftop bar, and live music, your able to relax and enjoy yourself like the celebrities, race car drivers and moonshine gangsters of the 1940s. Daytona has it all. 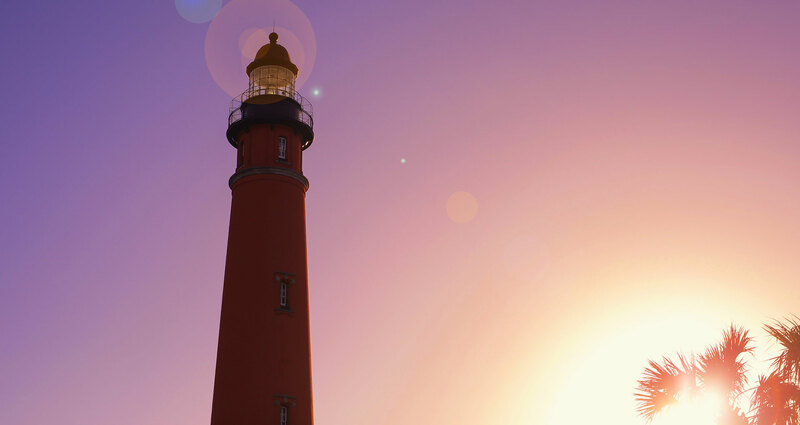 A beautiful race track, the heart pounding thrill of superspeedway racing, NASCAR history you can’t find anywhere else and a great places to relax and enjoy the ocean which is why its #2 on my list. This may be a surprise, but Las Vegas Motor Speedway is #1 on my list and it’s not even close. The Las Vegas area just has so much to offer, you won’t have time to fit everything you want to do in just one weekend. Just outside of downtown Las Vegas lies Red Rock Canyon and Mount Charleston which provide enormous amounts of unbelievably beautiful land loaded with hiking, biking, photography and nature opportunities. Turtle head Peak, a 5.5-mile trail in Red Rock Canyon, provides a challenging climb of 2000 feet but rewards you with a view of Las Vegas you dream of. If you’re willing to take a drive, Valley of Fire State Park which sits an hour north Las Vegas and Zion National Park two and a half hours, offer breathtaking views you will remember the rest of your life and possess trails of all difficulty including Angels Landing, the Temple of Aeolus, which is known as one of the most scenic and intense hikes in the country. The Hoover Dam, which needs no introduction, is a quick 45-minute trip south east. Las Vegas is surrounded by outstanding opportunity for indulging in extreme sports. From 4WD dune buggies, ATVs, dirt bikes, if you can dream it, you can drive it. Even just outside of the track, there is an Exotics Racing track which allows you to drive cars you only see on TV around a 1.2 mile road course! Once you get into the race track, you’ll find an experience you won’t find anywhere else. The first to provide the fans with an infield experience of more than just a place to stand, they don’t just have the facilities, but they know how to use them. Their famous Neon Garage offers fans an up close and personal experience with not only autograph windows at every team’s stall, but an over the top viewing area which allows you to watch the teams work like nowhere else on the NASCAR circuit. There are concerts and shows that provide constant entertainment even during the down time. The Las Vegas Motor Speedway staff, which I believe to be the most friendly and helpful in NASCAR, will get you to where you need to be, all you have to do is ask! From the bright lights of the strip, the red rocks in the Valley of Fire State Park, to the incredible fan friendly facility of the speedway, the options in and outside of the race track are endless and that’s why Las Vegas Motor Speedway is #1 on my list of NASCAR destinations.